Ace Hotel cooks up special menus to showcase craft beers. Craft beer lovers will be able to sample from more than 18 vendors at the fifth annual Craft Beer Weekend. To rev up for the Ace Hotel and Swim Club’s fifth annual worship of craft beer, Executive Chef Gregorio Calderin and his team pair specific beer flavors with Mexican fare the weekend of Sept. 9-10. “Mexican food goes hand in hand with the beer selections we have chosen, and we have multiple beverage choices for each meal,” Calderin says. The Sept. 9 culinary affair will feature a menu of California-based breweries, dishes filled with seasonal produce such as dessert apricots, and beers chosen to bring out the best tastes. The intimate setting enables guests to meet with brewmasters and company representatives to discuss the production process and find out why each beer was chosen for each course. 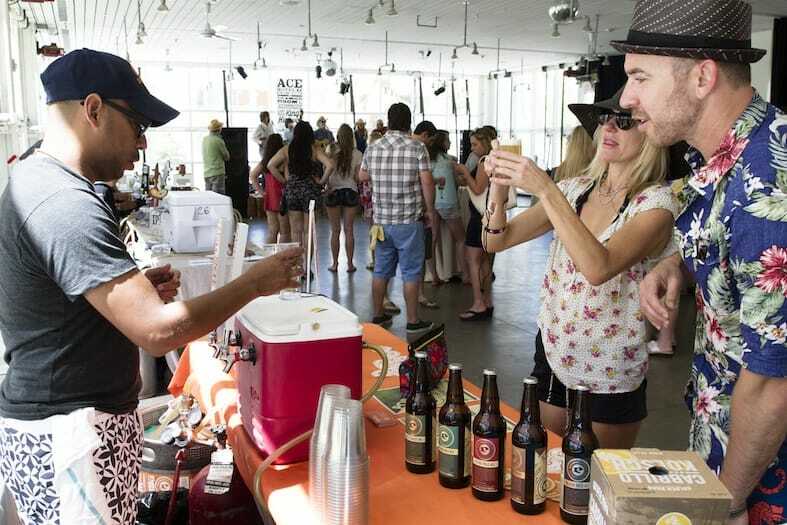 To round out the Ace Craft Beer Weekend, Saturday’s poolside party is all about beer and fun. Festivities include live music by James Supercave and performances by DJ’s Daniel T., Paul Tao, and Eli Glad. 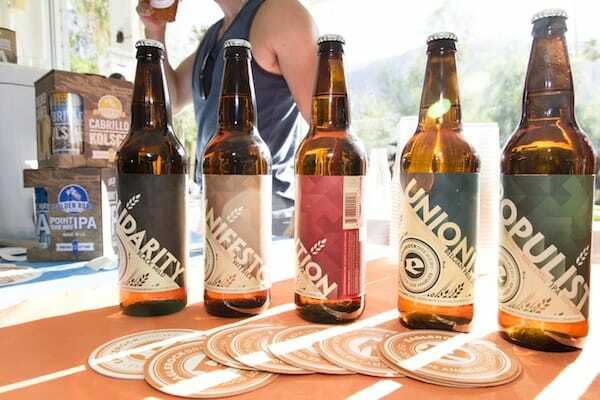 More than 18 breweries will have stations around pool for sample tastings including local fan fave, La Quinta Brewery. The Unapologetic IPA, Stone Brewing — a dry , bitter, aromatic beer, that marries well with the citrus hints found in the chile broth. Roasted Baby Carrots Tacos, Salsa Roja, and Queso paired with Modern Times Blazing World dry amber with sweet hops. • Chef’s note: “This really dark beer has strong flavors that marry well with chocolate to make for a perfect pairing!